The Red and Gold mist make the most of Minerva Punjab's slip with games running out. 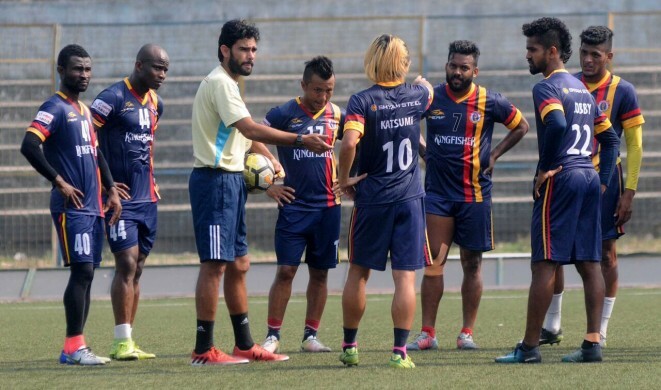 Kingfisher East Bengal will look to recreate their winning formula after being winless for four Hero I-League games when they host Indian Arrows at the Vidyasagar Krirangan (Barasat Stadium) on Sunday. The Khalid Jamil-led side risks falling out of top four if they don’t obtain a positive result against Indian Arrows side who are winless in three games themselves. Incidentally, East Bengal’s last win in the league came against Arrows when two early first-half strikes sealed three points in the away fixture on January 2. Three stalemates and a derby defeat to arch-rivals later, Jamil’s men are desperate in their search for three points now. The second half fightback against table toppers Minerva Punjab in their last match will give the home side a huge confidence boost coming into the game. Kingfisher East Bengal have twenty points in their kitty and will drop to fourth if Mohun Bagan garner a win against Lajong tonight after twelve games. Meanwhile, Mahmoud Al Amna is slated to come back from injury while Armand Bazie has been released from the squad. All India Football Federation’s developmental side managed to grab a goalless stalemate last time they took tp the ground away at Chennai City. With eleven points from thirteen games. Luis Norton de Matos’ side have come back to the City of Joy, where earlier this season they drew with Mohun Bagan. “To play in Salt Lake Stadium would have been fantastic for the boys. But we have to play on artificial grass, it is difficult”, he commented. While pressure mounts on the former Hero I-League winning coach to deliver in the Red and Golds colours, the youngsters will be hoping to create a major upset. 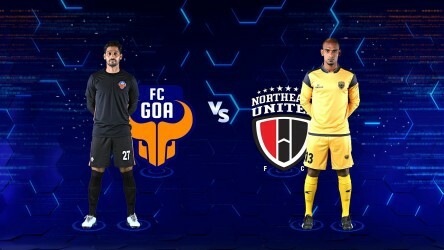 Kick-off is at 5.30 PM IST with the match to be broadcast live on Star Sports 2/ 2 HD. Live streaming will be available on Hotstar and Jio TV.